Emax Red Bottom RS 2205S 2300kv Racing motors. Emax Red Bottom RS 2205S 2300kv Racing motors.The RS2205S is a redesigned version of the popular RS2..
Emax Red Bottom RS 2205S 2600kv Racing motors. 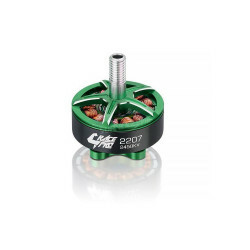 Emax Red Bottom RS 2205S Racing motors.The RS2205S is a redesigned version of the popular RS2205 The..
Hypetrain Brat 1407 4140kvBuy four and recieve a discount AND a pack of HQ 3x3x3 Props for your moto..
Rotor Riot Hypetrain Freestyle 2306 2450kv V2 with EZO Bearings As far as performance, the Hypetrai..
Rotor Riot Hypetrain Stingy 2207 2150kv MotorThe Hypetrain Stingersswarm Motor is here! An excellent..
Rotor Riot Kwad SkidzKWAD SKIDZ are another awesome original product designed by Rotor Riot. Made ..